Dr. Perry is a Professor of Marine Science at the College of William and Mary's Virginia Institute of Marine Science (VIMS). His primary research interests involve monitoring stress and documenting long-term changes in vascular plant communities of tidal and non-tidal wetlands, and the relationship of those changes to changes in environmental parameters within watersheds. 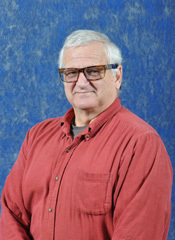 His current projects include: 1) establishing methods for determining status of watersheds and the success of created and restored habitats; 2) vegetation community dynamics in a restored and created wetlands and watersheds, and 3) life history, distribution and abundance, and threats to rare and/or endangered vascular plants. He has done research in Asia, North America, and South America, and has presented many invited seminars and lectures abroad. He is currently involved in several international wetland projects in China designed to examine the role of environmental conservation/restoration and sustainable development in coastal wetlands. The goals of the projects are to provide research directions and education opportunities for local universities as well as providing recommendations and guidelines for the establishment of environmental policies for the local and federal agencies. He teaches courses in Asian Environmental Issues, Wetlands Ecology, and Coastal Botany. Dr. Perry is a lifetime member of the Society of Wetland Scientists (SWS). He is currently the Secretary General for The Society of Wetland Scientist Professional Certification Program (SWSPCP), which he helped to develop in the early 1990's, and was one of the first wetlands ecologist to received his Professional Wetland Scientist certification. In the past he has chaired the SWSPCP Ethics Committee, the SWS South Atlantic Chapter, and has been a long time member of the SWS Outreach and Education Committee. Life history, distribution and abundance, and threats to rare and/or endangered vascular plants. Atkinson, R.B, J.E. Perry, G.B. Noe and J.Cairns. 2010. Primary productivity in 20-year-old created wetlands. Wetlands 30(2): 200-210. Hauser, C., E.L. Rosenberg and J.E. Perry. 2010. First Record of Vitex rotundifolia (Verbenaceae) in Virginia. Banisteria 34: 41-43. Morgan, E.E. and J.E.Perry. 2010. Traditional Medicinal Plant Use Amoung Virginia's Powhatan Indians. Banisteria 35: 11-31. Perry, J.E. and R.B. Atkinson. 2009. York River Tidal Marshes. J. Coastal Research 57: 43-52. Perry, J.E., D.M. Bilkovic, K.J. Haven, and C.H.Hershner. 2009. Tidal Freshwater Marshes of the South Atlantic United States. In: Tidal Freshwater Wetlands. Barendregt, A., A. Baldwin, P. Meire and D. Whigham (eds.). Backhuys Pub., Leiden, The Netherlands. Hobbs, C. C.B. Landry and J.E.Perry. 2008. Assessing the impacts of off-road vehicle use on populations of gost crabs (Ocypode quadrata) at Cape Hatteras National Seashore, North Carolina. J. Coastal Research 24(6): 1450-1458. Bailey, David E. and J.E. Perry. 2007. Vegetation dynamics in response to organic matter loading rates in a created freshwater wetland in southeastern Virginia. Wetlands 27(4):936-950. DeBerry D.A. and J.E. Perry. 2007. Noteworthy Collections in Virginia. Castanea 72: 119-120. Bailey, David E., J.E. Perry, and D.A. DeBerry. 2006. Aeschynomene virginica (Fabaceae) Habitat in a Tidal Marsh, James City County, Virginia. Banisteria 27: 1- 9. Nichols, J.D., J.E. Perry and D.A. DeBerry. 2006. Using a Floristic Quality Assessment Technique to Evaluate Plant Community Integrity of Forested Wetlands in Southeastern Virginia, USA . Natural Areas J. 26(4):360-369. Atkinson, R.B., J.E. Perry, and J. Cairns, Jr. 2005. Stability in developing wetlands: vegetation response to drought in 20 year old wetlands. J. of Wetlands Ecology and Management. DeBerry, D.A. and J.E. Perry. 2005. A Drawdown Flora in Virginia. CASTANEA 70(4): 276–286. DeBerry, D.A. and J.E. Perry. 2004. Comparison of early successional plant structure and composition in a created and natural non-tidal wetland. Castanea 69(3): 185-193. Slocum, K.R. and J.E. Perry. 2002. Remote coastal zone landscape characterization. Proceedings of the Seventh International Conference: Remote Sensing for Marine and Coastal Environments. Miami, FL, USA. Friedrichs, C.T. and J.E. Perry. 2001. Tidal salt marsh morphodynamics. Journal of Coastal Research Special Issue 27: 7-38. Gottgens, J.F., J.E. Perry, R.H. Fortney, J.E. Meyers, M. Benedict, and B.E. Rood. (2001). The Parana-Paraguay Hidrovia: protecting the Pantanal with lessons from the past. BioScience 51(4):559-570. Perry, J.E., T. Barnard, J. Bradshaw, C. Friedrichs, K. Havens, P. Mason, W. Priest, and G. Silberhorn. 2001. Creating tidal salt marshes in the Chesapeake Bay. Journal of Coastal Research Special Issue 27: 170-192. Spencer, D., J.E. Perry and G. Silberhorn. (2001). Clear-cut bottomland hardwood forests as reference sites for monitoring of created and restored wetlands. Environmental Management 27(4):301-312. Perry, J.E. and C.H. Hershner. 1999. Temporal changes in the vegetation pattern in a tidal freshwater marsh. Wetlands 19(1):90-99. Slocum, K. R., G. Wakefield, R. L. Fischer, M.V. Campbell, J.E. Anderson and J.E. Perry. 1999. Application of digital multispectral imagery to littoral zone soil and elevation modeling. Third International Conference: Remote Sensing for Marine and Coastal Environments. Miami, FL, USA. Perry, J.E., D.M.E. Ware, and A.M. Mueller. (1998). Aeschynomene indica L. (Fabaceae) in Virginia. Castanea 63(2):191-194. Perry, J.E. and R.B. Atkinson. 1997. Plant diversity along a salinity gradient: York and Pamunkey Rivers, Virginia. Castanea 62(2):112-118. Anderson, J.E. and J.E. Perry. 1996. Characterization of wetland plant stress using leaf spectral reflectance: an issue for wetland remote sensing. Wetlands 16(4):477-487. Atkinson, R.B., J.E. Perry, E. Smith, and J. Cairns, Jr. 1993. Use of created wetland delineation and weighted averages as a component of assessment. Wetlands 13(3):185-193. Atkinson, R.B., N.L. Botkin, and J.E. Perry. 1990. New county records collected in tidal wetlands of four coastal plain counties along the James River, Virginia. Castanea 55(1):56-64. Perry. J.E. 2003. Invasive Species: the case of Phragmites australis. In: G.C. Ray and J. McCormick-Ray, Coastal-Marine Conservation: Science and Policy. Blackwell Science, UK. Perry. J.E. 2003. The Paraguay Paraná Hidrovía: Protecting the Pantanal. In: G.C. Ray and J. McCormick-Ray, Coastal-Marine Conservation: Science and Policy. Blackwell Science, UK. Perry, J.E. 2003. Tidal wetlands of the Chesapeake Bay. In: G.C. Ray and J. McCormick-Ray, Coastal-Marine Conservation: Science and Policy. Blackwell Science, UK. DeBerry, D.A and J.E. Perry. 2000. An introduction to wetland seed banks. Wetlands Program Technical Report No. 00-2. College of William and Mary, Virginia Institute of Marine Science, Gloucester Point, VA, USA. DeBerry, D.A and J.E. Perry. 2000. Wetland seed banks: research in natural and created wetlands. Wetlands Program Technical Report No. 00-4. College of William and Mary, Virginia Institute of Marine Science, Gloucester Point, VA, USA. Goldberg, J., J.E. Perry, and J. Anderson. 1999. Remote sensing of natural areas: procedures and considerations for assessing vegetation composition change, land development, and erosion. Wetlands Program Technical Report No. 99-8. College of William and Mary, Virginia Institute of Marine Science, Gloucester Point, VA, USA. Goldberg, J., J.E. Perry, and J. Anderson. 1999. Remote sensing of natural areas: procedures and considerations for assessing stress and pollution. Wetlands Program Technical Report No. 99-6. College of William and Mary, Virginia Institute of Marine Science, Gloucester Point, VA, USA. Fagan, S.L. and J.E. Perry. 1998. United States v. Wilson: Muddy Waters in the Search for Wetlands Protection, Virginia Wetlands Newsletter, 13(3). College of William and Mary, Virginia Institute of Marine Science, Gloucester Point, VA, USA. Gottgens, J.F., R.H. Fortney, J.E. Meyers, J.E. Perry, and B.E. Rood. 1998. The Parana-Paraguay Waterway (Hidrovia) and its impact on the Pantanal of Brazil. Society of Wetlands Scientists Bulletin 15(3):12-19. Norris, L., J.E. Perry and K. Havens. 2002. A summary of methods for controlling Phragmites australis. TR-02-2. Virginia Institute of Marine Science, Gloucester Point, Virginia, USA. Perry, J.E. 2003. SWS Code of Ethics and the Professional Wetland Scientist. Society of Wetland Scientists Bulletin 20(2):19-23. Perry, J.E., J.E. Anderson, and A.F. Theisen. 1998. An introduction to stressed habitats. Virginia Wetlands Newsletter, 13(2). College of William and Mary, Virginia Institute of Marine Science, Gloucester Point, VA, USA. Perry, J.E. 1997. Natural Heritage Resources Fact Sheet: Tidal Freshwater Marshes. Dept. Conservation & Recreation, Richmond, VA, USA. Perry, J.E., J.G. Bradshaw, and K.J. Havens. 1992. Field Testing the Proposed Federal Wetlands Delineation Manual. TR-92-2. . Virginia Institute of Marine Science, Gloucester Point, VA, USA. Perry, J.E. 2005. Poisonous Plants: Cherry, Apple, and other Members of the Rose Family. Mid-Atlantic Alpaca Association Newsletter. 5(5): 5. Perry, J.E. 2005. Poisonous Plants: the Heath (blueberry) Family. Mid-Atlantic Alpaca Association Newsletter. 5(10): 4-5. Perry, J.E. 2005. Poisonous Plants: the Walnut Family. Mid-Atlantic Alpaca Association Newsletter. 5(10): 5. Perry, J.E. 2005. Poisonous Plants: Pine. Mid-Atlantic Alpaca Association Newsletter. 5(12): 8. Perry, J.E. 2004. Winter Poisonous Plants. Mid-Atlantic Alpaca Association Newsletter. 4(11): 4. Bevington, Azure M.S. (2007) Thesis title: Environmental Factors and Typha spp. Dominance in Created Wetlands. Bailey, David E. MS (2006) Thesis title: Wetland Vegetation Dynamics and Ecosystem Gas Exchange in Response to Organic Matter Loading Rates. DeBerry, Douglas A. Ph.D. (2006) Dissertation title: Floristic Quality Index: Ecological And Management Implications In Created And Natural Wetlands. Davies, Sarah M.S. (2004) Thesis title: Temporal Changes in Vegetation Patterns at Sweet Hall Marsh, Chesapeake Bay National Estuarine Research Reserve, Virginia. Landry, Cynthia M.S. (2004) Thesis title: Assessing the Impacts of Off-road Vehicle Use on Populations of Ghost Crabs (Ocypode quadrata) at Cape Hatteras National Seashore, North Carolina. Roggero, Molly M.S. (2003) Thesis title: Ecosystem gas exchange in natural and created tidal salt marshes of Tidewater, Virginia. Wu-Stanhope, Jennifer M.S. (2003)Thesis title: Relationships between watershed characteristics and base flow nutrient discharges to eastern shore coastal lagoons, Virginia. Mountz, Elizabeth, M.S. (2002). Thesis title: Use of remote sensing to identify essential habitat for Aeschynomene virginica (L.) BSP, a threatened freshwater wetland plant. Slocum, Kevin, Ph.D. (2002). Thesis title: Coastal zone landscape classification using remote sensing and model development. Laird, Rosemary, M.S. (2001). Thesis title: Spatial and temporal variation in plant communities of three tidal salt marshes along the York River, Virginia. Goldberg Jason, M.S. (2000). Thesis title: Comparing remote sensing to traditional approaches of monitoring wetland vegetation in a tidal mitigation bank. Meyer Jill E., M.S. (2000). Thesis title: Accuracy of bottomland hardwood boundary delineations based on multispectral video images. Campana, Michael, M.S. (1999). Thesis title: The effect of common reed ( Phragmites australis ) invasion on nutrient flux, sedimentation, and plant species diversity in a tidal freshwater marsh. Spencer, David, M.S. (1999). Thesis title: Early secondary succession in the bottomland hardwood forests of southeastern Virginia. McKenney-Mueller, Amanda, M.S. (1998). Thesis title: Small mammal habitat use of two natural and two created wetlands in southeastern Virginia. Establishment of a wetland research program in the Palaeocoastal Reserve, Tianjin, China (w/NOAA, Tianjin Univ.). Ecological processes in restored habitat for the Chinese alligator, Chongming Island, China (Wildlife Conservation Service).